Traveling to various countries is a pain enough as it is with the different languages, customs and businesses – it’s even more of a problem if a businessperson is there to do business. Whether it be buying some trinkets or brokering a deal, the main problem with foreign transactions is the need for an accurate conversion into the local currency. But, no worries, we found for you an app that can help you that without an effort. Let’ see what the app offers you. What is 1.00 Currency Converter all about? The 1.00 USD Currency Converter is one highly efficient and practical finance tool that helps users to convert any currency they need to fast and easy. 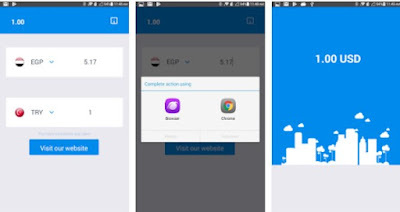 Developed for android users and very easy for using, the app allows users to convert currencies and get currency exchange rate quick without much effort. The users with the help of the app can keep track of changes made in currencies worldwide, getting the conversion anywhere and anytime they need to. On this practical and effortless app for android users is very simple for users to make conversion of the currencies in the world, accurately and fast. This tool is more than just a currency converter but also is a useful currency exchange rate tool that helps users get currency exchange rate within seconds. The app is designed very simply, offering its users to make the conversion of currencies and get the exchange rate even if they are not connected to the Internet. The app can be used whenever the user needs it. With the help of this app, users can keep track of the world changes in rate and currencies, getting updates and constant information about the currencies.